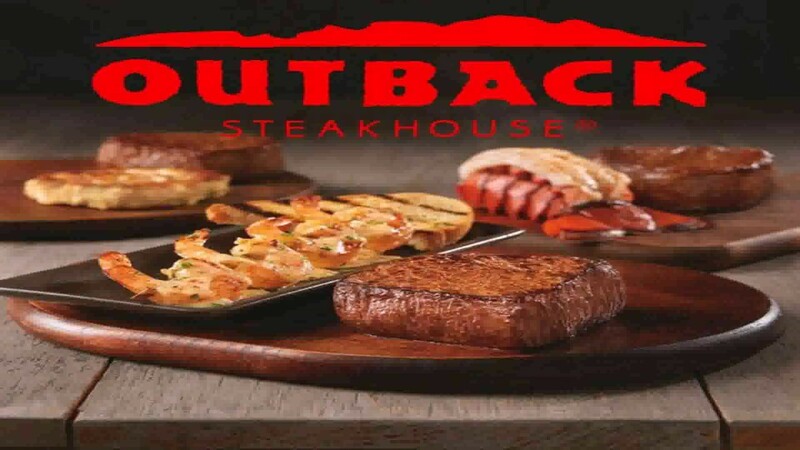 If you are looking for a new place to eat, then there is no better time than right now to check out Outback Steakhouse. Famed for their Bloomin’ Onion, this restaurant offers a menu packed with delicious treats for the whole family. However, before you can sample their delicious menu, it is a great idea to learn as much as you can about this much-loved chain. With this in mind, we have put together a list of some untold truths for you so that you will head to the steakhouse full of interesting facts. One of the most interesting facts about Outback Steakhouse is that it is actually not as Australian as it would lead us to believe. 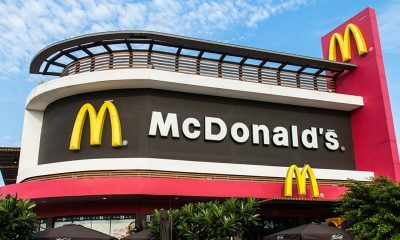 Marketed as a taste of the outback, this popular fast food chain actually serves more American treats than anything! 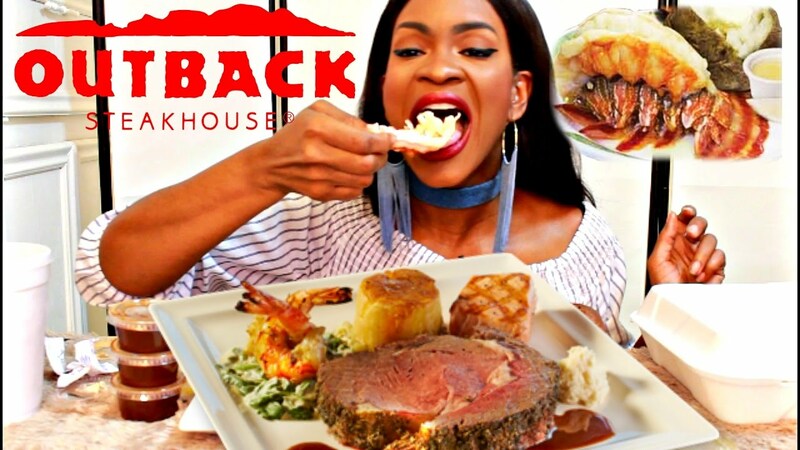 Founded in 1988 in Tampa, Florida, Outback Steakhouse was the brainchild of Bob Basham, Trudy Cooper, Chris T Sullivan and Tim Gannon. The first surprising fact to learn about the founders is that none of them had ever actually even visited the land down under before opening the first steakhouse. They had originally planned a trip to Australia for research purposes, but decided that they didn’t want to be influenced too much by their travels. 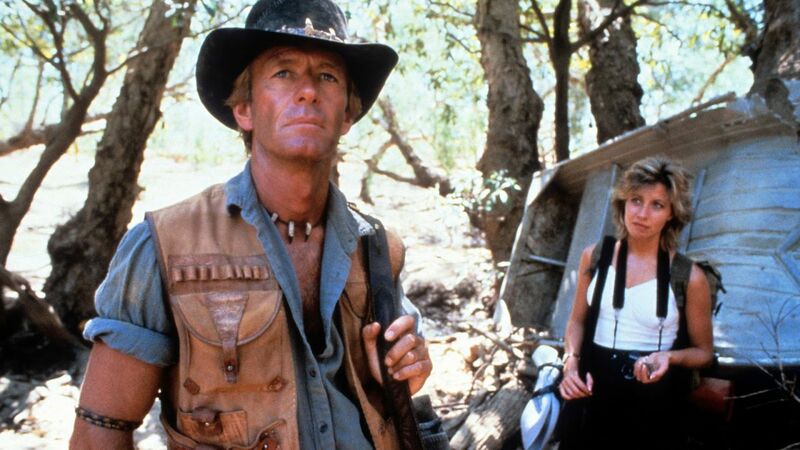 1987 saw the release of Crocodile Dundee which ended up being the second most popular movie in America for that year. It is definitely safe to say that the release of this movie heavily influenced the design ideas behind Outback Steakhouse with its less-than-accurate portrayal of the Australian Outback. The food on offer at this popular chain is actually quite heavily influenced by New Orleans cuisine. 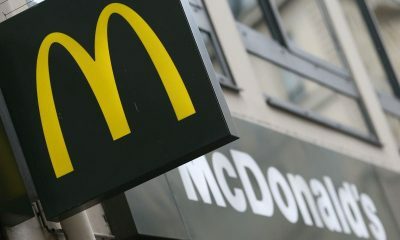 They serve a range of American classics from a variety of steaks, burgers, fried foods and of course, Mac n’ Cheese. Despite not being an accurate portrayal of the outback, there are currently over 1000 locations across North and South America, Asia and surprisingly, Australia. 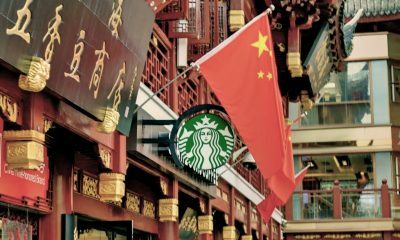 Their revenue for 2017 alone was a staggering $3.888 billion USD. It goes without saying that Outback Steakhouse was really put on the map with the release of their famous Bloomin’ Onion dish. Tim Gannon developed the delicious dish back in 1988 and was inspired by New Orleans cuisine. The first Bloomin’ Onion was served in the first location in Tampa, Florida. When the dish was first created, each onion was trimmed by hand. However, the founders definitely did not anticipate the popularity of it and staff were struggling to keep up with demand. It was at this point that a machine called a ‘Gloria’ was introduced, which trims each onion into 200+ petals. A staggering 40 million Bloomin’ Onions were served between 2012 and 2015, so it is safe to say that this is one of the most popular dishes on the menu. In fact, 1 out of every 4 appetizers ordered from the menu is a Bloom. Over time, variations of the dish have been created. For example, it is now possible to order a Bloomin’ Onion burger. However, one of the most popular variations is quite recent to the menu and that is the Bloomin’ Onion topped with cheese fried and baby back ribs. 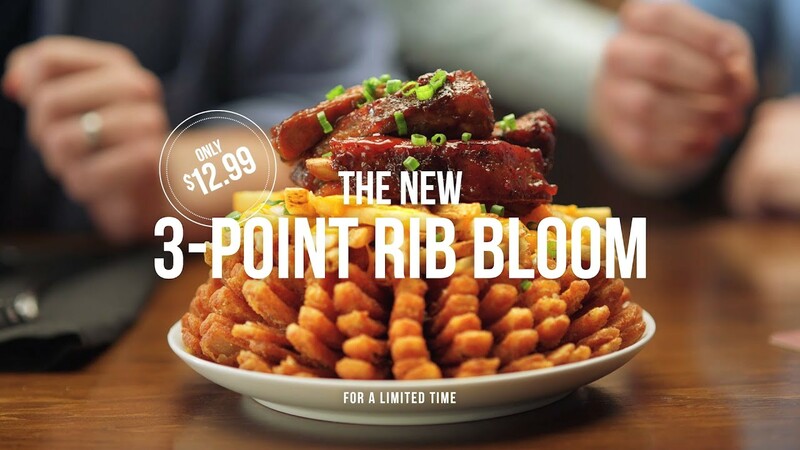 Named the 3-Point Rib Bloom, this dish contains a massive 3,500 calories. 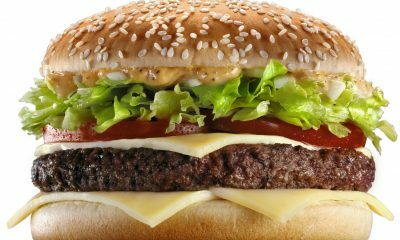 It is certainly not something that you’d want to be eating if you’re watching your waistline! Each year Outback Steakhouse seems set to outdo themselves with a new limited edition dish. If you are planning a first time visit to Outback Steakhouse, then the Bloomin’ Onion is definitely the first thing that you should order. If you are a social media user, then there is every chance that you have come across the famous night life photographer Kirill Bichutsky. 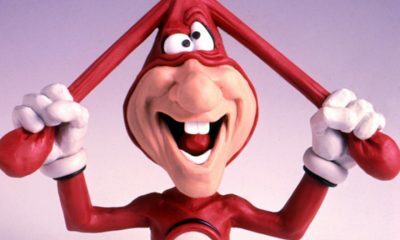 This controversial character is not only a famous photographer, but also now a famous party host who is best known for his wild antics which we will definitely not be mentioning here. If you have followed any of his antics then you will know exactly what we’re talking about. Anyway, Kirill is a massive fan of Outback Steakhouse, so much so that he actually has the Outback logo tattooed on his arm. Another famous face that loves Outback is Chrissy Teigen. The model, television host and wife of John Legend is a huge fan of the casual diner. So much so that she sent out a tweet to her five million followers asking them for a recipe to replicate Outback’s famous Bloomin’ Onion. She received thousands of responses, but the one that stuck out was a reply from Outback’s PR team. They offered to teach her the tricks of the famous dish, to which she responded asking them to send a chef to her house to teach her. Naturally, they obliged, and the next week flew a team out to her LA home. They filmed a demo showing how to create the famous dish and an article was published on People.com along with many other famous media outlets. It is safe to say that this will have definitely worked to the advantage of the marketing team for Outback Steakhouse. Most franchises will have found themselves the topic of a conspiracy theory at some point or another; it’s just how it goes these days. With social media making rumors spread like wildfire, it is no surprise that this is the case. Of course, Outback Steakhouse did not escape the keyboard warriors when they decided to target the chain with possibly one of the strangest food related conspiracy theories in history. 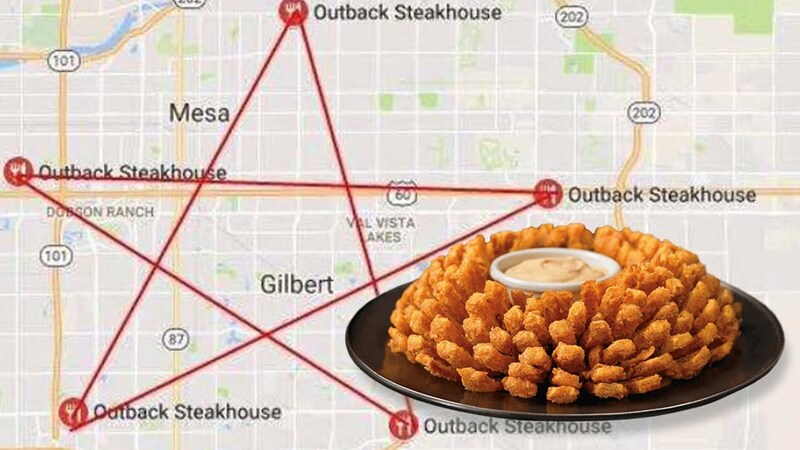 It all started when a Twitter user sent out a tweet claiming to have photographic evidence that proves that particular Outback Steakhouse locations could be connected on a map to create the shape of a pentagram. The pentagram is largely associated with the Wiccan religion and witchcraft along with Satanism. Naturally, the only logical conclusion that the world of Twitter could come to was that in fact, Outback Steakhouse are Satanists with strong links to the occult. Of course, there is no way that it could be a mere coincidence. Thankfully, Outback saw the funny side and responded with an image of their world famous Bloomin’ Onion placed over a map of Florida along with the caption “If the Bloomin’ Onion is evil then we don’t want to be nice.” Go Outback Steakhouse! Considering Outback Steakhouse places themselves in the category of ‘casual dining’, none of us would expect their dishes to be particularly healthy. Whilst they offer some healthier dishes on their menu such as salads, the majority of their food is relatively unhealthy. 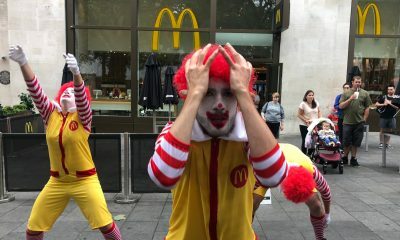 However, we were gobsmacked by just how unhealthy some of their food actually is. This is possibly down to their motto of “No Rules. Just Right”. This rule allows customers to adjust virtually every dish to their individual tastes. There are some great examples of some really unhealthy dishes on their menu. Let’s start with the crab cake entrée. You’d think that this is a relatively healthy choice – nope! In some locations you are able to order the dish with three cakes, which have been deep fried and are laden with fat. This version of the dish comes in at a massive 1,470 calories. The regular steak quesadilla consists of tortillas filled with ribs, Monterey Jack cheese, a chipotle spread and sour cream among other ingredients. 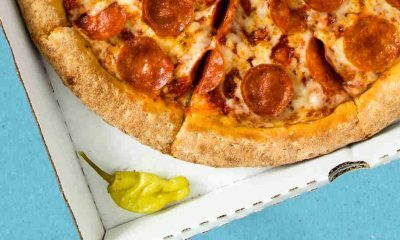 We wouldn’t necessarily expect this to be healthy but the calorie count is staggering at 1,590 calories. What has been labelled as perhaps one of the unhealthiest entrees in history is, of course, the delicious Loaded Bloomin’ Onion. The regular Bloomin’ Onion dish is unhealthy as it is, considering it consist of deep fried onion petals, but when you add to it an entire portion of fries topped with melted Monterey Jack and cheddar cheese, plus bacon and the Bloom Sauce along with a spicy ranch dressing, it comes in at a gut busting 2,960 calories. Although it is supposed to be a sharing dish, you can imagine that some will have tried to tackle the dish on their own which is definitely not recommended. If you have never been to an Outback Steakhouse location, then you might not know what to expect in terms of the food that they serve. You wouldn’t be alone if you assumed that they only served steaks. However, this particular steakhouse serves a lot more than that and their recipe and menu secrets may well shock you. First of all, there is the fact that there are a staggering 17 herbs and spices contained within the recipe for the steak rub. The rub itself was developed by Tim Gannon when he worked in a restaurant called Copeland’s in New Orleans, so the flavours have certainly been influenced by local cuisine. Numerous people have tried and failed to deconstruct the secret recipe. However, what most people can agree on is that the rub at least contains salt, black pepper, paprika, onion powder, garlic powder, ground coriander and turmeric. Who knows what the other secret herbs and spices are! Another interesting fact is that the menu for Outback Steakhouse actually varies depending on the region that you are in. In Malaysia, the only mostly Muslim country with an Outback Steakhouse, the menu is completely pork free to comply with local religious dietary requirements. If you visit a location in a Southern state, you will find crawfish on the menu. Eastern states offer lobster and Western states offer Alaskan king crab. One final thing that makes Outback stand out from other steakhouses is that they griddle their steaks on a flat top in butter, whereas most other eateries will grill or broil their meat. One thing that many people will definitely be shocked by is just how much money Outback Steakhouse has actually donated to political campaigns, especially campaigns run by the Republicans. If you know a bit about business and politics, then you will already be well aware that companies are not actually able to donate directly to any political campaigns. However, they can do so via company sponsored political action committees. Within these committees, shareholders and companies are able to put their money together and donate that money to political causes. Between the years of 2011 and 2014, Bloomin’ Brands, the company behind Outback Steakhouse, donated a mind boggling $1,091,030 to political causes. What is even more staggering is that a massive 93% of this money went to Republican causes. During 2016, the Bloomin’ Brands political action committee made $350,200 in donations and 85% of that went to the Republican Party. Elizabeth Smith, who is actually the CEO of Bloomin’ Brands personally donated $5,400 directly to Hilary Clinton’s presidential campaign. 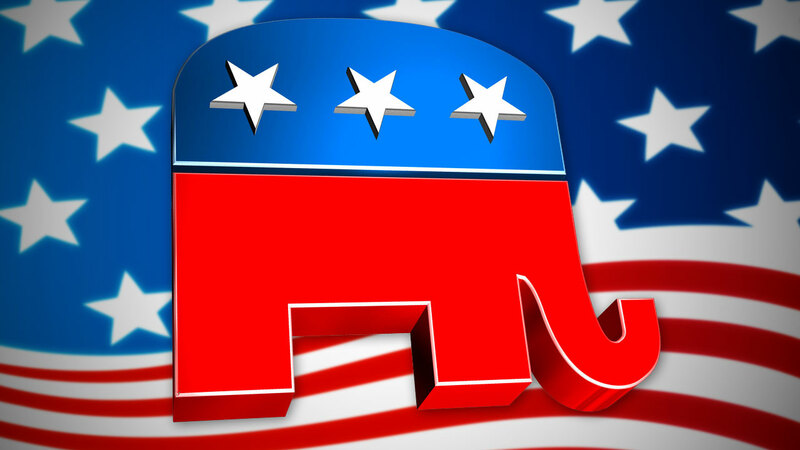 Of course, everyone is entitled to support whichever party they choose, but it is safe to say that Outback Steakhouse definitely leans towards supporting the Republicans. What will shock many readers is the fact that Outback Steakhouse has not always been the successful franchise that it is today. Back in 2013, the brand celebrated their 25th anniversary in business. The four founders decided to talk to The Tampa Times about the business. 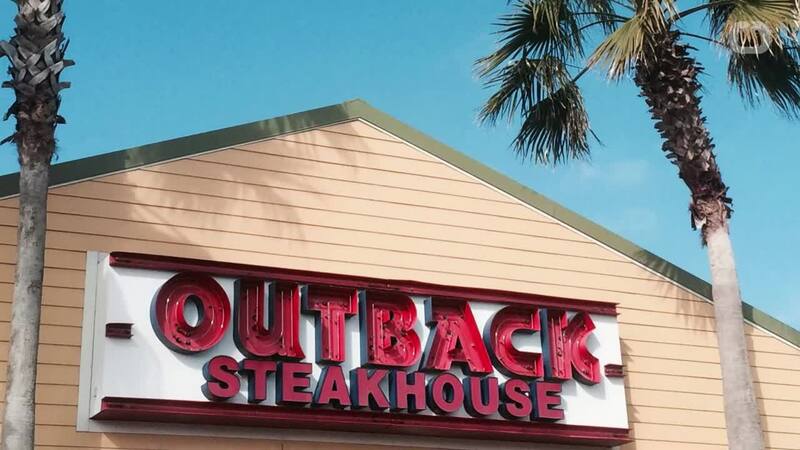 The location that they chose to meet at was the original Outback Steakhouse in South Tampa, Florida. At the time of opening back in the 80’s, there was nowhere locally that offered people a casual dining experience. If local residents wanted to visit somewhere for casual dining, they would have to travel to the other side of the city. So the founders originally assumed that they would be very successful in the area. However, they found that they struggled with evening service. At one point, they had to ask employees to park their cars at the front of the steakhouse so that it looked like the location was busy with customers. They also encouraged them to bring their friends and family to dine at the steakhouse. 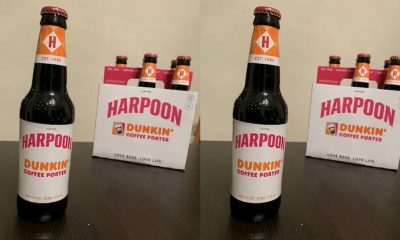 The first location was actually an old bar that the founders had to put a lot of work into, in order to get it to the standard that we see today. These days, there are over 1000 locations and the franchise is worth billions. Popularity is largely down to the Bloomin’ Onion, without a doubt. However, there is also the fact that customers are able to order virtually any combination of food that they want, something that you won’t find in other steakhouses. In July of 2016, Bloomin’ Brands launched a multi-concept loyalty program called Dine Rewards. 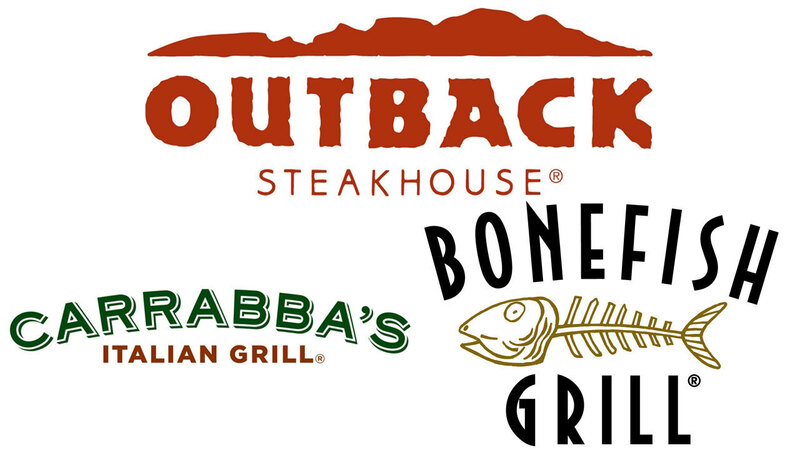 This rewards program covers all 4 of the Bloomin’ Brands franchises; Outback Steakhouse, Carrabba’s Italian Grill, Bonefish Grill and Fleming’s Prime Steakhouse and Wine Bar. 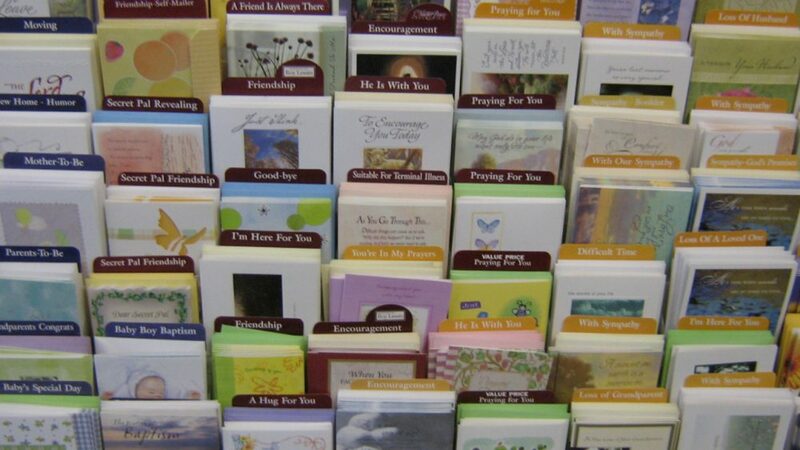 Customers are able to earn up to 50% off (up to $20) of their 4th visit to any of the 4 franchises. There are also monetary incentives for those who sign up to the loyalty program online. In order for customers to claim their rewards, all they have to do is to inform the waiter or waitress of the telephone number that is associated with their loyalty account; it is as simple as that! 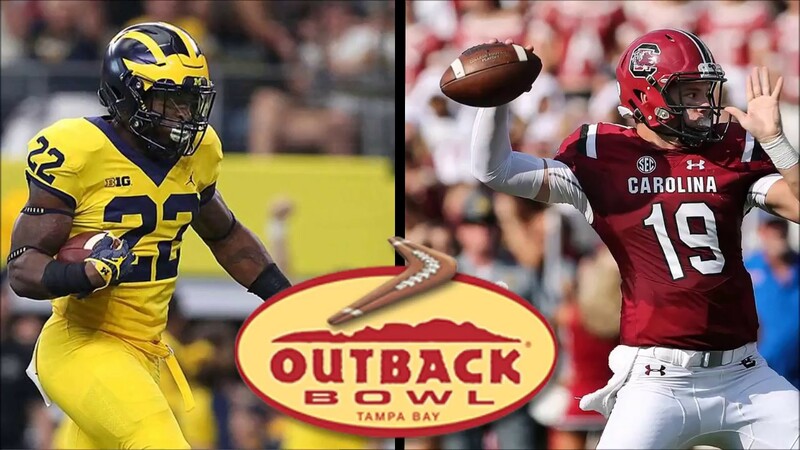 The Outback Bowl is an annual college football bowl, held on New Year’s Day every year. The game is held in Tampa, Florida, and used to be called the Hall of Fame Bowl. The name was changed to the Outback Bowl in 1995 when Outback Steakhouse became the official sponsors of the game. The estimated payout for the match is a staggering $3.5 million for each team. It used to be played at the Tampa Stadium, but these days it is played at the Raymond James Stadium. This year saw South Carolina named as the victors over Michigan. Outback even has their own mascot for the yearly event! 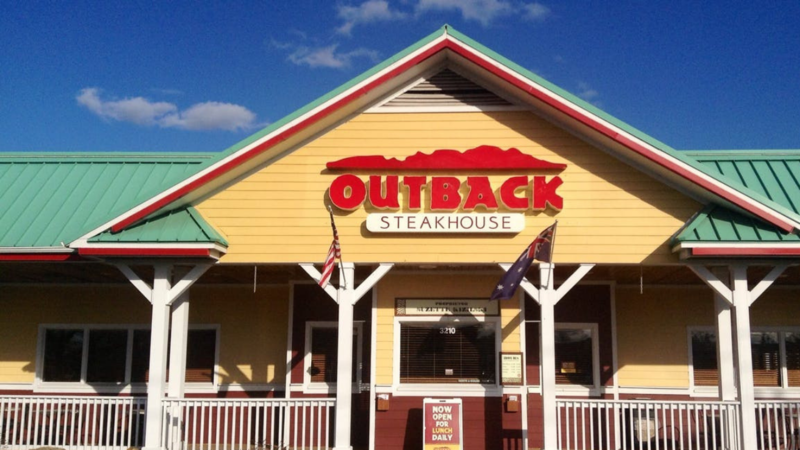 There you have it, 10 brilliant facts about Outback Steakhouse. The next time you visit a location, you will be armed with some very interesting information, not only about the origins of the franchise, but everything else about it too! Before you do go for a visit, make sure you read up on all of the possible food combinations. It goes without saying that you should try the Bloomin’ Onion, but there are plenty of other delicious dishes on offer too! Try them all, you will not be disappointed.